Teddy is a Great Pyrenees dog adopted from the Mendocino County Shelter in Ukiah. 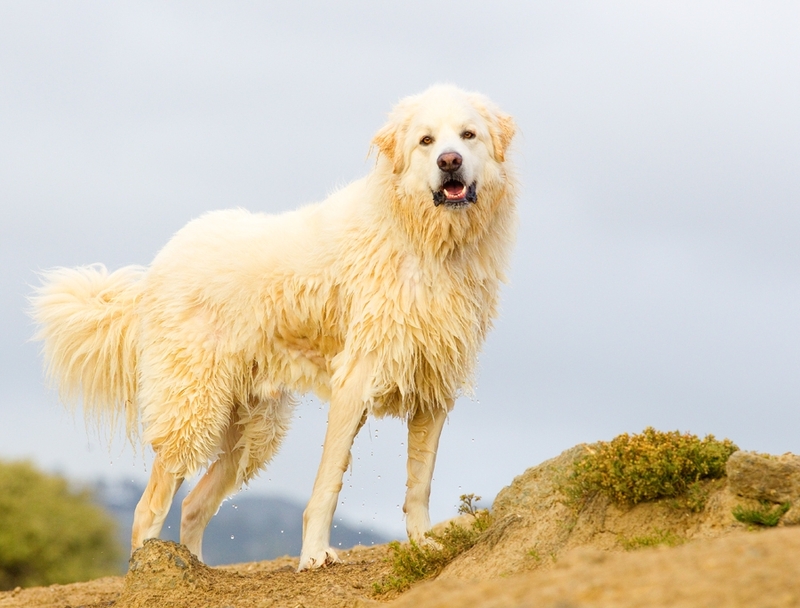 For centuries, "Pyrs" guarded sheep from wolves and bears in the Pyrenees mountains of France. Today, if you look closely you will often spot Pyrs among the sheep dotting the hillsides of Marin, keeping coyotes and mountain lions away. Like a working Pyr, Teddy spends much of his time lying around until it’s time to spring into action--which for him usually means going for a romp! He is a silly, sensitive, social butterfly who is very gentle with horses, little dogs, kitties, and chickens. But if you are a predator, look out–don’t mess with Teddy’s friends!